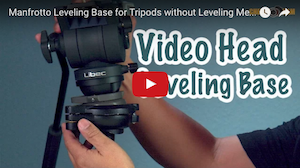 What happened to cheap Variable ND filters? 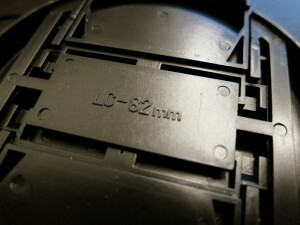 So I recently picked up the Sigma 30mm lens for the Sony NEX-7 camera and it's been the only lens on the camera since. Today I decided I needed a Variable ND filter and did some online shopping. 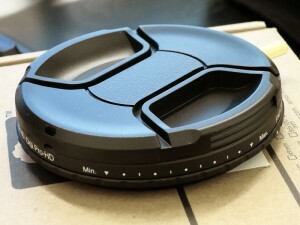 For cheap, normally the Nature ND filter (seen here on eBay) was pretty good, but today it's going for around $50 bucks. 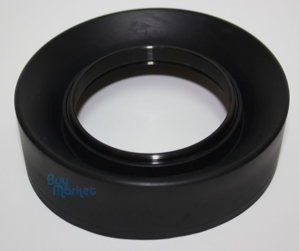 Even the purplish color casting Polaroid Variable ND filter on Amazon is now being listed for more than $35 dollars (seen here). .
Now the option for a cheap Variable ND Filter for under $13.00 dollars is the Slim Variable Fader ND version from Fotga . The listing on the product details claim to use high quality glass from Japan that avoids color shift when changing densities. I doubt it's that good, but I can correct a little color cast through a WB shift or in post. 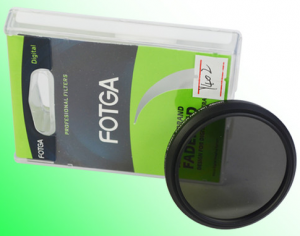 I know Fotga has some decent products, but so far there's no talk about these Variable ND Filters. 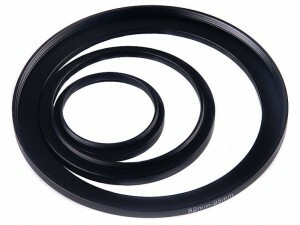 Not many options now for cheap Variable ND filters, so to find out if it's any good, I went ahead and ordered a 46mm. Posted in Lens Talk. Tags: DSLR ND Filters. Fotga ND Variable Filter, fader nd, Nature ND, Polaroid ND Filter, variable ND filter on July 3, 2012 by Emm. If you love to shoot outdoors on bright sunny days with a shallow DOF, you'll need to get yourself an ND (neutral density) Filter. The ND filter will cut down the amount of light that comes in through the lens so that you can tame that shutter speed, and use a wide aperture without blowing out the image. Still confused? 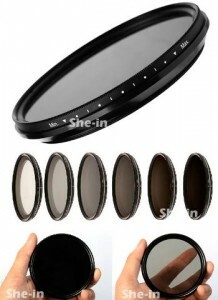 Olivia has a short video that explains how shutter can change the look of your video here: http://vimeo.com/25851113. 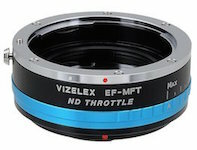 There are static ND filters in various sizes and densities, and then there are Variable ND filters. 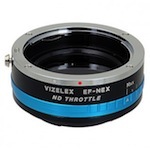 The convenience of a Variable type ND filter is you can simply dial in how much light you need to block out. 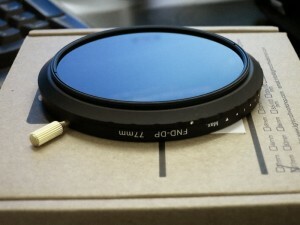 Variable ND filters are a two piece glass filter design. Rotate the outer glass, and it will increase/decrease the amount of light passing through. 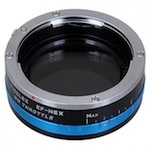 One important thing to know is that you will get different results from different Variable ND filters on the market. Because the filters are using two pieces of polarizing glass, you could suffer from color cast (reddish/purplish), also color shifting (color temp changes as you rotate the filter), and more importantly Softness of image. 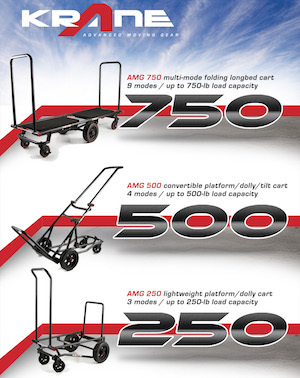 The more expensive ones don't suffer as much with these problems, but they can be out of reach for most hobbyist. Of course, I use what I can afford, because in some situations I feel anything is better than nothing. 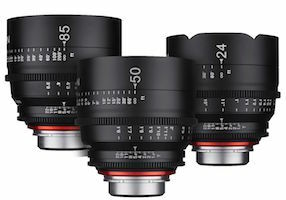 If you're a stickler on quality, or invested thousands of dollars on that Zeiss and Canon 'L series' glass, I think you'll want to try to maintain the best image possible by using something of higher caliber. 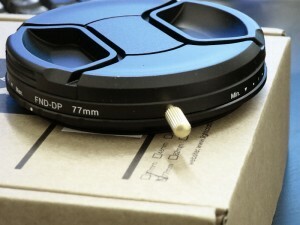 Shown throughout this article is the latest 77mm LCW Digi Pro HD, which on the outer end terminates to a larger 82mm. 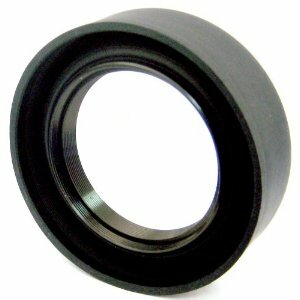 This step up from 77mm-82mm design prevents obstruction when used on wider lenses. 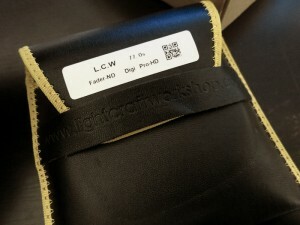 Packaged well, the LCW Digi Pro HD comes with it's own padded case and an 82mm Lens cap if you choose to leave the filter on during storage. To ensure the filter does not accidentally rotate during use and changing exposure, there's a locking pin to hold position. 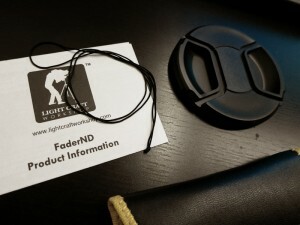 Light Craft Workshop was one of the first companies to really hit the DSLR Video market with a quality Variable ND filter about 3 years ago. 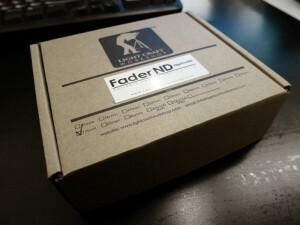 Since then, they've improved with an Ultra Mark II version, and now has released a much more improved Fader ND Digi Pro HD. 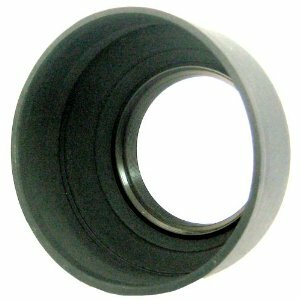 The Digi Pro HD filter was first released in a 4x4 filter used in Matte Boxes, and has now been adapted to this variable threaded filter. 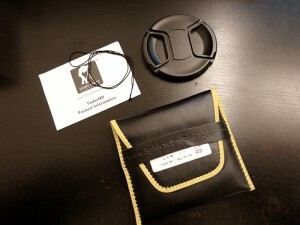 I was lucky enough to have this sent over from LCW [Thanks Guys], and will be taking it out for some use. 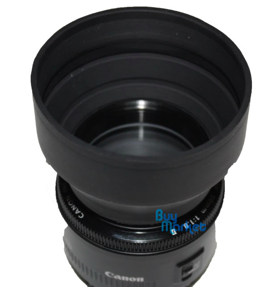 There's no question in my mind that it will provide top quality results, and i'll try to provide some still images at different focal lengths for you all. 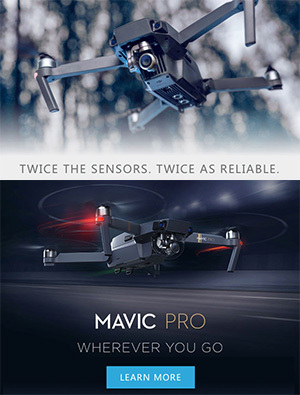 The new Digi Pro HD filter was just announced a few days ago, and may not yet be available, but you can see all their announcements at their website here: http://LightCraftWorkshop.com. 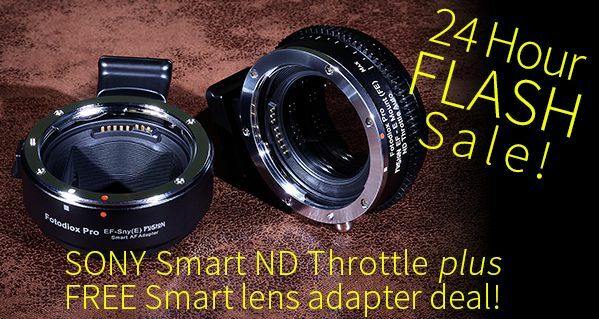 As this Digi Pro HD is not a replacement for some of their other Variable ND products, you can find those products and prices already available at their official store via eBay (click here). 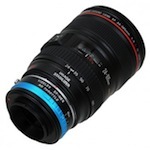 Posted in Equipment Reviews, Lens Talk. Tags: Digi Pro HD filter, fader nd, lcw, light craft workshop, lightcraft workshop, variable ND filter on December 27, 2011 by Emm. I know there's a good amount of new DSLR shooters who haven't invested in ND filters yet, so here's a good example of the difference it can make to improve your DSLR video. To properly exposure on your DSLR you'll primarily be changing either Aperture or Shutter Speed. Since the majority of people love to shoot with a shallow depth of field (wide open aperture), changing the shutter speed is the only other option in bright days. This is where you could really compromise the video quality (unless you're going for that fast shutter look specifically). Get invested into some ND (neutral density) filters to cut down on the light so you can maintain that 'double framerate' rule. 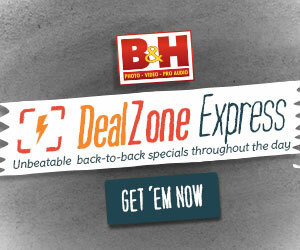 To maintain the sharpest image possible, a single piece of ND glass is your best bet. The problem is that you need to have 1 filter for every sized lens, and you'll also need different densities according to the lighting. 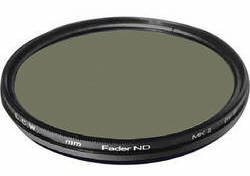 If you want to save time in swapping densities, you could get into Variable or Fader ND filters. These are adjustable filters that change densities as you rotate them giving you up to 9 stops in one single filter. Just be careful about the uber cheap ones. 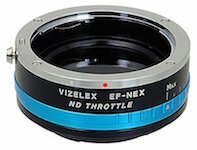 Here's a good article about those Variables http://cheesycam.com/variable-nd-filters-fader-filters/. 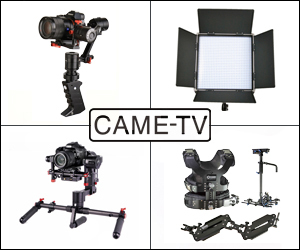 Posted in Equipment Reviews, Lens Talk, Videography Gadgets. Tags: aperture, cinema style, dslr film look, genus, lcw, lightcraft workshop, nature filter, nicna, shutter speed, variable ND filter on July 11, 2011 by Emm.